Developer Quote: "Fluke HD represents a digital twist on the board game genre with gameplay in the vein of classics such as Snakes & Ladders, Sorry! and Ludo." - Added support for single-player. - Added a new board “Alien World”. - Added new leaderboard & achievements. - Fixed scoring in online mode when other players disconnect. I can certainly remember some warm and happy times spent around the table playing board games with my family when I was younger. The companionship and happy occasion was worth its weight in gold. 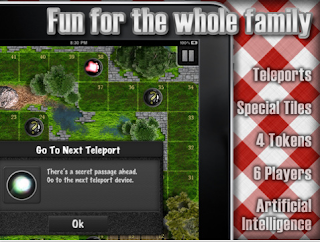 With your iPad, you can enjoy all the glories of colorful, action-packed and fun-filled games like these. 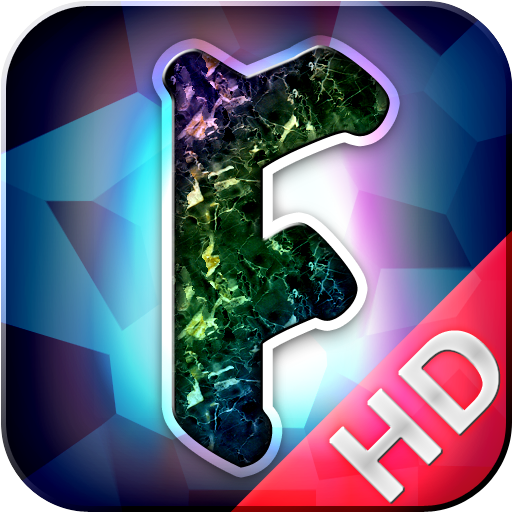 One really splendid game I came across recently was Fluke HD. It caught my eye with its intricate design and gorgeous interface. Plus it's what I call a "modern-classic" bearing resemblance to the popular games of childhood where you move your game-pieces through obstacles from start to finish. Yet this game carries a sophisticated, electronic flair. 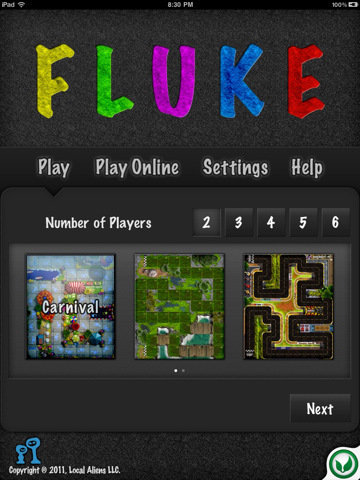 Fluke HD will challenge you and whet your competitive spirit. The theme is quite simple though. 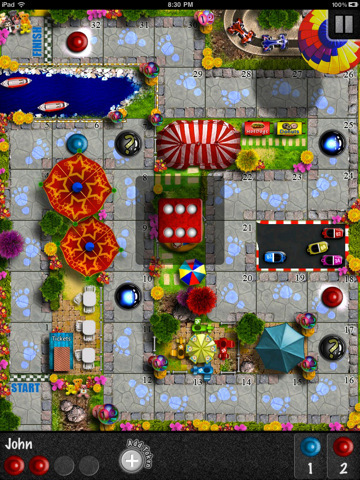 Players are each given four colored tokens which they must successfully navigate across any one of the game’s 3 unique boards before their opponents in order to win. 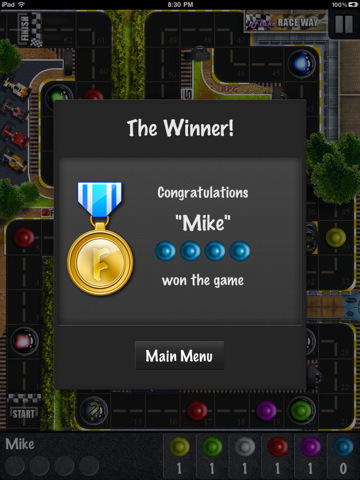 Note that you can only win if you are able to get all four of your game pieces across the finish line. Simple enough? Think again! There are many different interactive obstacles on each of the game’s boards! Play against friends or enjoy the convenience of opponents via the Game Center. Start off by checking the Settings menu, selecting Sound FX, music and volume. Then decide how many friends will play, choose color tokens and enter their names. Now you're ready to play so tap the dice in the middle of the board. When you do, a number will magically appear. Tap the game piece you wish to move, and it will automatically move the number of spaces the dice has displayed. And so the game goes, with each player trying to out-race the other through obstacles and setbacks to get to the finish. When you land on the "? ", who knows what surprise will await you? For example, you may be given instructions to remove a token, take 2 extra steps, advance or recede. Note that you may only add in another of your 4 game pieces when you roll a 6. There's so much to love about Fluke HD. It's fascinating how well a board game can function in an electronic version. COOL CONCLUSION: "Fluke HD intrigues with its quality graphics, design and blend of classic with modern gameplay!" --iOS/Age Rating: This app requires iOS 3.2 or later. iOS 4.0 Tested. Rated 4+. --Special Note: Stay tuned for the next Update with an additional board, iPod music integration, and more exciting surprises!